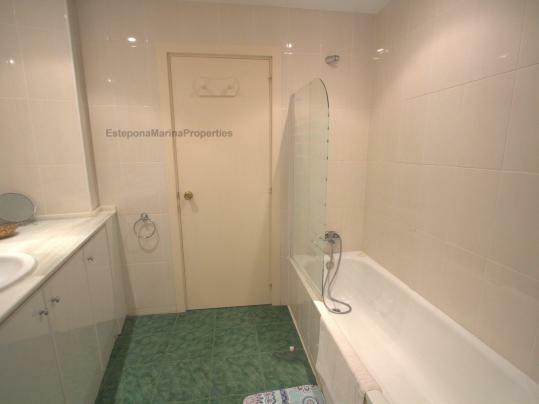 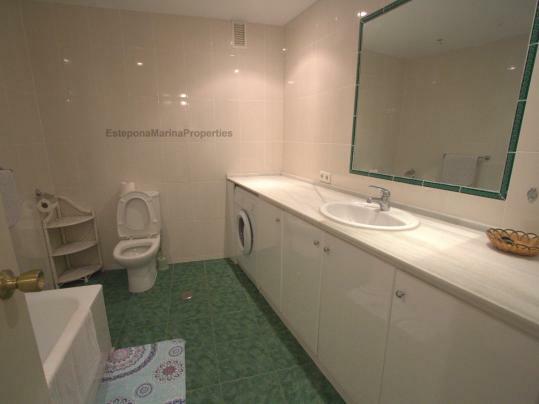 To enquire about this property please quote EMP 14 in all correspondence. 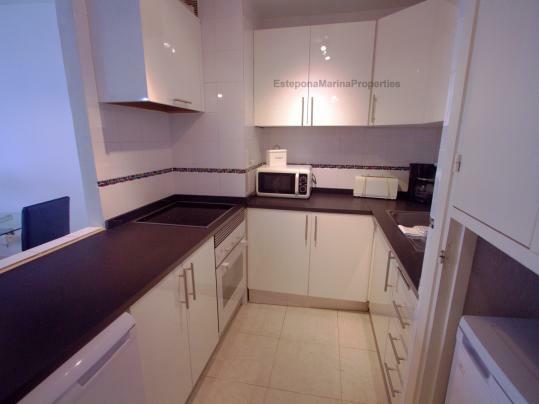 You may telephone us, fax us, email us, or use the online enquiry form. 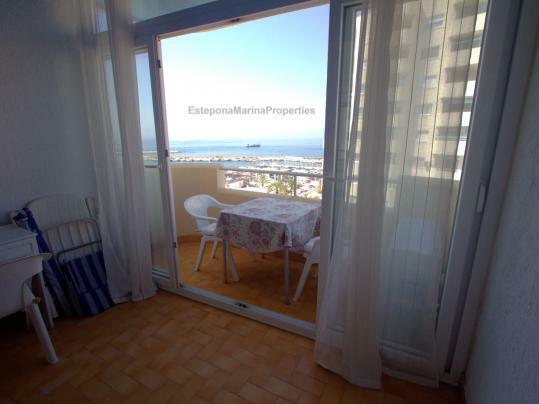 Large West-facing, 1 bedroom, 1 bathroom apartment, great views to the south west over the Marina toward Gibraltar and North Africa. Large bedroom with double bed, bathroom facilities, fitted kitchen, Community Sat TV service, music system. 1 Extra person can be accommodated for a small charge, please contact the office for details. 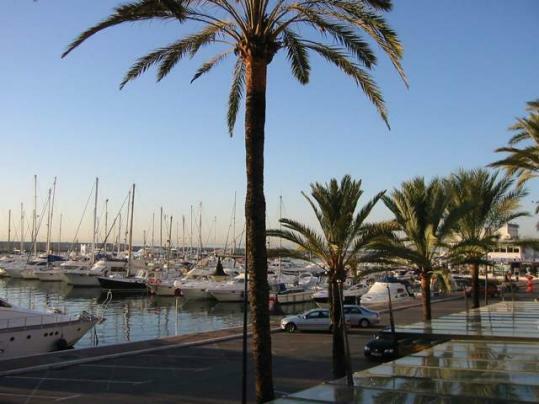 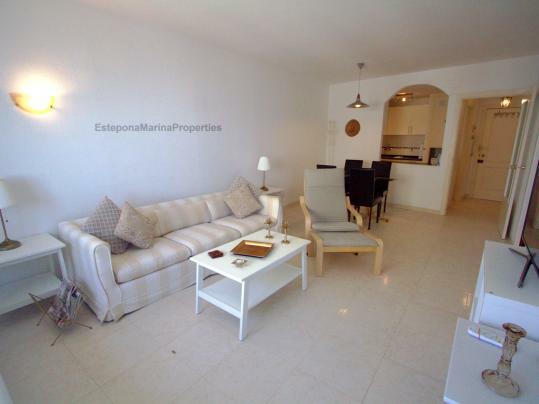 The apartment over looks the Marina with views to the Marina, Africa and Mediterranean from the South West facing terrace, afternoon sun, only 5 minutes walk to the Marina where you will find various waterside bars and restaurants. 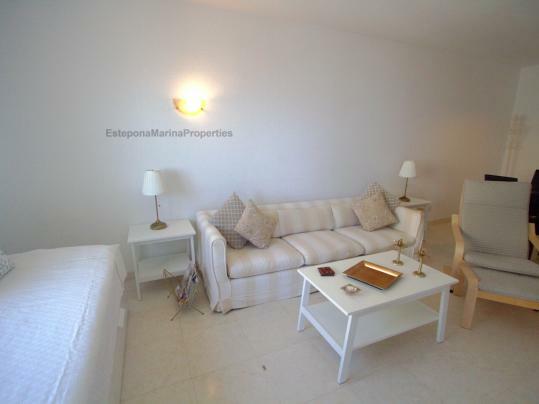 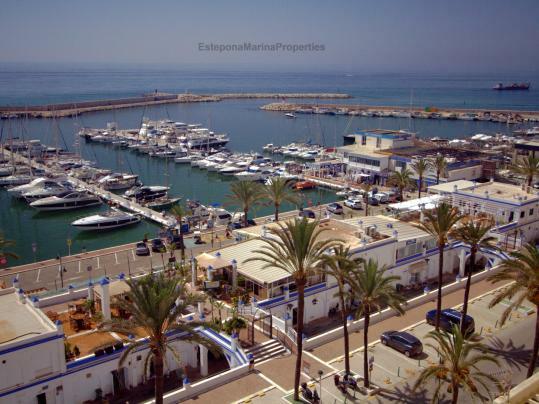 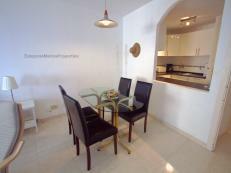 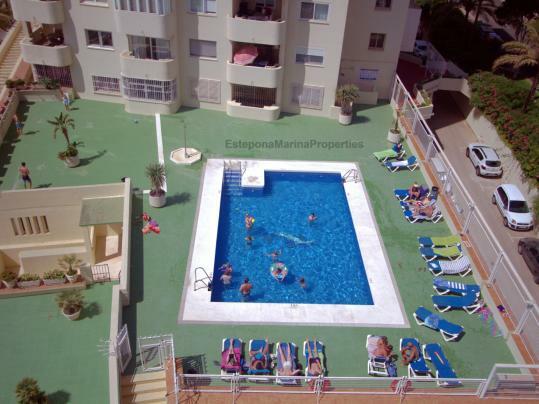 2 community pools, easy walking to the beaches and Estepona town along the "Paseo".